Don't worry, you can keep your clothes on for this (please do!!) In addition to your clothes, you will leave with a better understanding of what it means to lead from a more vulnerable and authentic place. We have all heard that authenticity is important in leadership. Yet, we constantly hear conflicting messages that we should conform to someone else' ideals. We may try to bend and twist ourselves in a desire to "fit in." How can you inspire others by being a more vulnerable and authentic version of yourself? And why is this so important? Brian is an executive leadership coach who invites something greater that is already inside you. 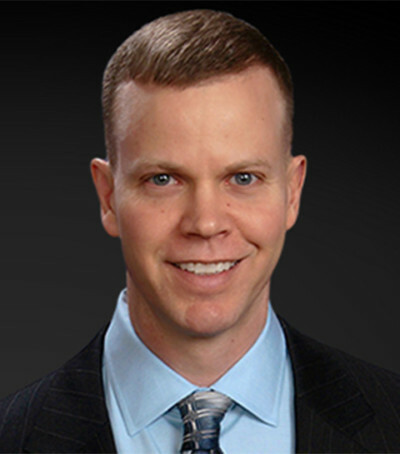 Brian spent the first 14 years of his career serving as a CPA and consultant at both Ernst and Young and AuditWatch. During that time he realized coaching was the best and most natural way he could support and challenge others. Over the last eight years, Brian has coached many CPA firm leaders to tap into their inherent power by becoming a stronger observer of their life and what holds the most meaning for them. From that broader lens of seeing the world, his clients can uncover new choices and actions and increase their capacity to lead others to more meaningful results. Brian has provided workshops, presentations, and training sessions on various leadership and communication related topics to thousands of CPAs across the United States. In 2016, Brian co-founded Intend2Lead to empower CPA firms to create meaningful and positive shifts in their culture and performance. Intend2Lead partners with clients to co-create customized solutions and uncover the training and coaching needed to realize the vision of firm leaders. Brian is a Professional Certified Coach (PCC), credentialed through the International Coach Federation, and he holds a Certificate in Leadership Coaching from Georgetown University. He graduated with a BS in Commerce from the University of Virginia. Brian is also an instructor for the AuditSense team where he provides leadership and communication seminars, and he authored the book Auditing Leadership (Wiley 2009). To receive CPE credit for the event, you must register for the webcast prior to the start of each program. CPE is available to all eligible participants within 24 hours of each webinar. Multiple attendees: In order to receive CPE for multiple attendees, ensure that at least one person signs up for the webinar. At the completion of the webinar a proctor form is provided. Alternatively, you may also login to your account following the webinar and click on the MY ACCOUNT button where you will find a link to the proctor letter. We know the CPA profession. We’ve experienced it from two perspectives – as practicing CPAs and as service providers for CPAs. Combined, we have 25+ years of experience as CPAs and 15+ years of experience as leadership coaches and consultants. We are coaches first. As classically trained, ICF certified coaches, our primary objective is to partner with you in a thought-provoking and creative process, inspiring you to maximize your potential. This is the lens through which we see the world, and we bring it to all the work we do. We empower you and your organization. We do not simply provide training. We empower your organization to make meaningful cultural change on a large scale, in a way that consciously allows you to take the lead. We take an inside-out approach. This is the only way transformation occurs. We dig deep to uncover your vision, what success means to you and your most challenging obstacles. This paves the way for us to co-create meaningful change, for you and your organization. We focus on sustainable change. Our standard is transformation. We strive to help you and your organization reach a new place where you can never go back to old ways of thinking or being. We strive to create a holistic development experience that creates momentum beyond your training or coaching experience. We use a strengths-based and solutions-focused approach. We do not believe anyone needs to be “fixed.” Instead, we help you and your organization uncover more of your best selves – your gifts, passion, purpose and energy – so you can contribute more to the people and ideas that matter most.